A look at how the National League teams compare with one another heading into the 2019 MLB season. GLENDALE, Ariz. — Those Los Angeles Dodgers, so unfortunate, because they can’t win the World Series. Those Dodgers, so fortunate because they probably have enough great players, even without Bryce Harper, to make it to the World Series a third straight year. Not many choose to discuss what has happened, the pain of coming close, the drumbeat of “Wait ’til next year” — other than sportswriters, analysts and fans. Yet there is a bit of history from which Los Angeles can’t escape. The Dodgers are one of only three teams in the last 40 years to lose consecutive World Series (the 1991-92 Braves and 2010-11 Rangers are the others). The Dodgers have won the National League West title six straight seasons. 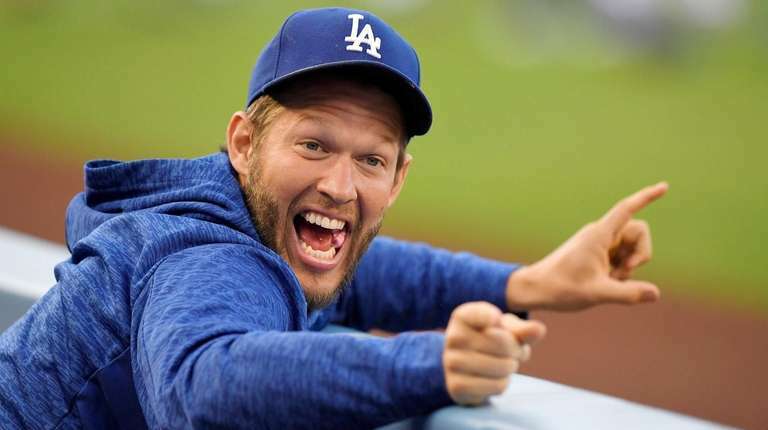 They still have Clayton Kershaw, albeit with some problems in that left arm (he won’t be on the Opening Day roster, but hopes to return April 9); signed an apparently valuable free agent in A.J. Pollock (apparently because he’s been hurt so much) and traded Yasiel Puig, a great athlete (he could throw from rightfield to home on the fly but was erratic as a ball- player). They lost out in the bidding for Harper, which disappointed some Dodgers players and outraged Los Angeles Times columnist Bill Plaschke, who wrote that Harper not only could have brought the World Series title the team has been without since 1988 but also solidified the franchise for a decade. In the Los Angeles area, only two pro teams really matter, the Dodgers and the NBA Lakers. The Lakers have been busts of late. The Dodgers simply bust a lot of dreams. They do a lot right until the ultimate games of the season. “Back-to-back years falling short in the World Series is brutal,” said Justin Turner, the solid third baseman. Maybe the addition of Pollock helps change that. He had been considered, after Harper, Manny Machado and Nolan Arenado, the fourth-best free agent after last season. 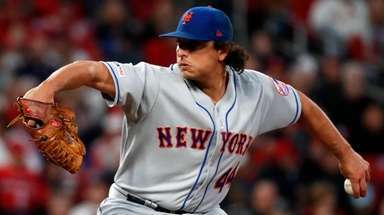 The Dodgers signed him to a four-year contract for about $55 million. With Puig and Matt Kemp (both traded to the Reds) both gone, Pollock will play center and bat anywhere in the order from leadoff to sixth. Pitching wins, of course — the Red Sox pitchers stopped the Dodgers in the Series — and Los Angeles needs a healthy Kershaw, a revitalized Julio Urias (shoulder surgery in 2017) and a strong Kenley Jansen, the closer whose fastball velocity dropped at the end of 2018. This winter his weight dropped by 25 pounds. With the departure of Yasmani Grandal, who critics said was a hitter more than a catcher — meaning working with pitchers — the Dodgers brought back Russell Martin, 36, who after leaving Los Angeles in 2011 went to the Yankees and other teams. He joins Austin Barnes, who was Grandal’s backup last season. Maybe the best thing about the Dodgers’ failure to sign Harper is that the team equipment manager doesn’t have to issue the No. 34, Harper’s number with Washington. It hasn’t been worn by anyone on the Dodgers since a lefty in the 1980s by the name of Fernando Valenzuela. They won’t say it, but the Nationals would love to prove that saying goodbye to Bryce Harper was addition by subtraction, as their former No. 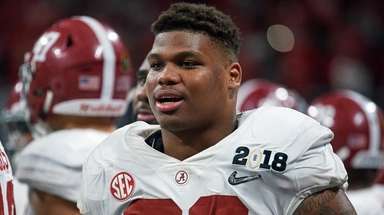 1 pick overall declined a $300-million offer to stay in D.C. back in September. GM Mike Rizzo is betting the Nats have enough to compensate for Harper’s loss, with top prospect Victor Robles on deck for centerfield and Juan Soto poised to build on last year’s runner-up finish for Rookie of the Year (22 HRs, .923 OPS). Mix in leadoff man Adam Eaton, and their outfield should be fine sans Harper, with a bruising lineup that includes Anthony Rendon in the No. 3 spot. As for the rotation, the Nats already had big guns Max Scherzer and Steven Strasburg at the top, but still swooped in to nab Patrick Corbin with a six-year, $140-million contract. Sean Doolittle is back in the closer’s role, set up by Trevor Rosenthal. Give the Brewers credit. Not only did they go 163 games to edge the Cubs for the NL Central crown, but also pushed the Dodgers all the way to a Game 7 before bowing out in the NLCS, a tough loss at Miller Park. There’s a lot to like again in Milwaukee, and it starts with MVP Christian Yelich, whose breakthrough season (.326 BA, 36 HRs, 110 RBIs, 1.000 OPS) finally confirmed what many suspected about his huge potential. The Brewers brought back Mike Moustakas -- this time to play second base for the first time in his career -- and got free-agent catcher Yasmani Grandal on a bargain one-year deal worth a guaranteed $18.25 million. The rotation is sufficient, but the real strength is the bullpen, with three closer-quality relievers at the back end with Jeremy Jeffress, Josh Hader and Corey Knebel. Expect the resourceful GM David Stearns to find whatever the Brewers might need by the trade deadline. 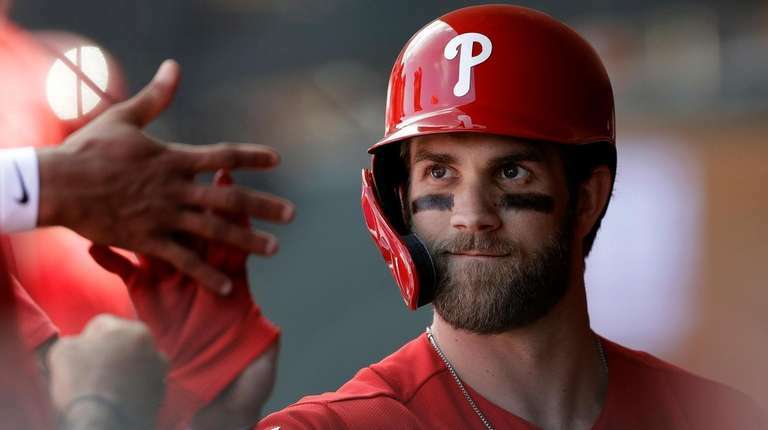 It took four months, but the Phillies finally lured Bryce Harper to Broad Street. All it took was a record $330-million contract, spread out over 13 years. Kudos to owner John Middleton, however, who shrugged off any questions regarding the ancillary value of Harper (marketing, etc.) and instead went right for the money quote: he just believes Harper will help get him another championship, and the first trophy since 2008. But this offseason wasn’t just about Harper. The Phillies also pulled off two key trades, first getting shortstop Jean Segura from the Mariners, then upstaging the rest of the league by dealing for coveted catcher J.T. Realmuto. They also signed David Robertson, a pivotal bullpen addition, even if Harper couldn’t remember his name at the introductory news conference. Aaron Nola, who finished third in the Cy Young voting, signed a team-friendly four-year, $45-million deal last month, as the Phillies look to build a long-term contender. Agent-turned-GM Brodie Van Wagenen wasn’t bashful this winter about talking up his Mets, and having one of the sport’s top rotations should help back up his boasting. Jacob deGrom, the reigning Cy Young winner, looks poised to repeat and Noah Syndergaard has a chance to be his toughest challenger. Zack Wheeler has the motivation of pitching for a big payday in his walk year and Steven Matz, at age 26, still has a lot to prove entering his fifth season. 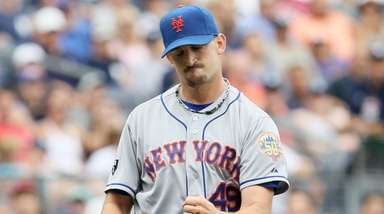 The Mets fortified the bullpen with closer Edwin Diaz and Jeurys Familia, but this isn’t a pitching-only outfit. 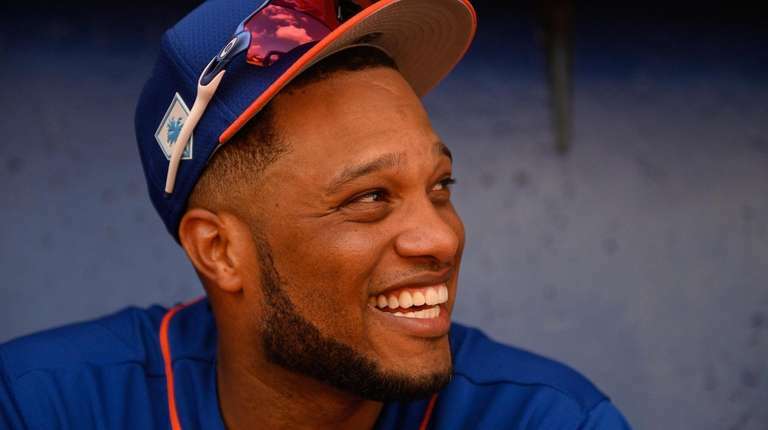 The addition of Robinson Cano brings some serious veteran pop, as will top prospect Pete Alonso, who clubbed 36 homers last year in the minors but has shown himself to be a very intelligent hitter as well this spring. The key bat, however, is likely to be Michael Conforto, who enters 2019 healthy after being delayed by shoulder surgery a year ago. Matt Carpenter provided an MVP-type season for St. Louis last season, and he finished ninth on the ballot after supplying 36 homers with an .897 OPS from three different positions. So what did the Cardinals do? Trade for one of the guys who finished above him -- Paul Goldschmidt, who placed sixth by swatting 33 home runs with a .922 OPS. Goldschmidt now takes over first base, allowing Carpenter to shift to third, and the assumption is that the Cardinals will sign the former D-Backs franchise player to an extension before too long. St. Louis already had Marcell Ozuna, picked up in the Marlins’ fire sale a year earlier, so firepower isn’t a problem at Busch. Rotation-wise, the Cardinals locked up Miles Mikolas with a four-year, $68-million extension and 23-year-old Jack Flaherty (10.8 K/9 in 20 starts, 3.34 ERA) is the next big thing. After last year’s surprising surge to the NL East title, their first since 2013, the question surrounding the Braves this season is this: did they do enough to improve over the winter? Atlanta features the uber-talented young tandem of Ozzie Albies and Ronald Acuna Jr. -- the latter was last season’s Rookie of the Year -- as well as 25-year-old Dansby Swanson at shortstop, so they’re set as far as the next generation goes. But after GM Alex Anthopoulos acted early to sign Josh Donaldson (one-year $23M) and Brian McCann (one-year, $2M) they didn’t dip any further into the free-agent market, avoiding what seemed like a sensible would-be reunion with closer Craig Kimbrel. The Braves should have plenty of rotation depth, with Mike Foltynewicz, Julio Teheran and Kevin Gausman at the front, bolstered by the highly-touted rookie Touki Toussaint. Brian Snitker earned himself Manager of the Year honors, but can he live up to the higher expectations now in a crazy competitive division? By now, the glow from the 2016 title has dimmed somewhat, and if the Cubs don’t get back to the Fall Classic soon, Wrigleyville could get restless before too long. Yes, the expectations certainly have changed on the North Side, and the once-lovable losers are carrying the stigma of Addison Russell’s domestic-abuse suspension into the coming season. Russell still has 28 games left on his 40-game ban, so Javier Baez -- last year’s MVP runner-up -- will take over at shortstop in his absence. With Baez at the core, the Cubs again have formidable Big Three with Kris Bryant and Antony Rizzo, so offense shouldn’t be a problem. Still, Theo Epstein was quiet this winter, and chose to stand pat with a rotation that is looking for a rebound season from Yu Darvish, or least a measurable return from their six-year, $126-million investment. The Yankees swiped two big pieces from the Rockies’ 91-win team, scooping up reliever Adam Ottavino and infielder D.J. LeMahieu in free agency, but Colorado made sure there wouldn’t be a third when it signed Nolan Arenado to an eight-year, $260-million extension last month. Arenado is a perennial MVP candidate who finished third last season -- 38 HRs, 110 RBIs, .935 OPS -- and the Rockies helped bolster the lineup around him by getting the former Met/National/Cub Daniel Murphy (2 yrs, $24M) to play first base. Trevor Story continues to be the second coming of Troy Tulowitzki (37 HRs, .914 OPS) and Colorado has high hopes for top prospect Garrett Hampson at second base. The rotation is anchored by the homegrown tandem of German Marquez and Kyle Freeland while the super-bullpen, minus Ottavino, remains intact with Wade Davis in the closer role and set-up man Seunghwan Oh. Sonny Gray put the Reds on the radar this spring, at least back in New York, by telling The Athletic that the Yankees misused him during his stay, due to the team’s push for a slider-heavy repertoire. 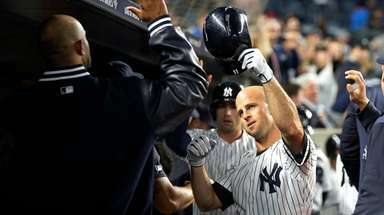 Brian Cashman wisely declined to get into another back-and-forth with Gray, deferring instead to his obvious need for a change of scenery. 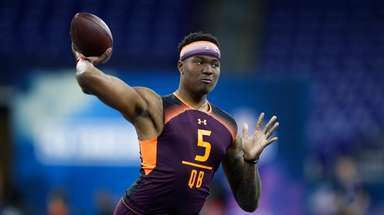 Gray will certainly get that, as the banks of the Ohio river will never be mistaken for the South Bronx, and he joins some other notable transplants. Yasiel Puig, Matt Kemp and pitcher Alex Wood all moved from L.A. to Cincy, as the defending NL champs cleared room in both their outfield and payroll. 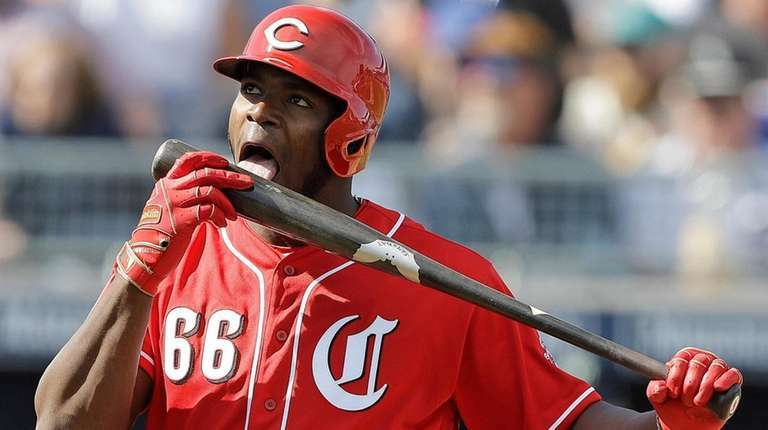 The combustible Puig brings entertainment value for the woeful Reds, whose attendance declined sharply last season, as well as some added pop to go with Joey Votto, Scooter Gennett and Eugenio Suarez. Wilmer Flores is the new second baseman, but he doesn’t have much in the way of friends (get it?). 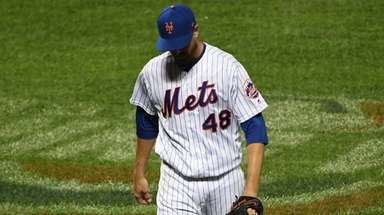 Still, there will always be Wilmer love in Flushing. As for any affection for the D-backs after an uninspiring winter, the only reason to even go to Chase Field this season is if your home air conditioner is on the fritz. Arizona traded its franchise player Paul Goldschmidt to the Cardinals, and what’s left isn’t going to get them past either the Dodgers or Rockies in the NL West. Zack Greinke, now 35, has another three years and $104 million left on his deal, so Arizona will no doubt be looking to deal him as it considers the rebuild route and search for new stadium sites in the desert. Greinke is 45-25 with a 3.53 ERA in his first three seasons with the D-backs, averaging 30 starts, so he could be worth the investment for a contender, although he can block a trade to 15 teams (the Yankees are on that list). Location is the problem for the Pirates, and we don’t mean Pittsburgh. It’s the NL Central, where the Brewers, Cubs and Cardinals are clearly superior, and even the re-energized Reds could make some noise. That leaves the Bucs probably destined for the bottom, despite a promising rotation that features Chris Archer, Jameson Taillon and Trevor Williams. After being in limbo due to legal problems back home in South Korea, Jung Ho Kang is shaping up to be a significant bat this spring, and that should help alleviate the loss of Josh Harrison to free agency (now in Detroit). Closer Felipe Vazquez is coming off an All-Star season (37 saves, 11.4 K/9) so the Pirates are in good shape if they can get a lead to the late innings. That’s going to be quite a challenge in their neighborhood, however. Huntington Station’s A.J. Preller likes to make an offseason splash, but now entering his sixth season as the Padres GM, he has yet to do better than 77 wins in San Diego. Last winter, Preller gave Eric Hosmer an eight-year, $144-million deal, then followed that up in February by winning the Manny Machado derby with a 10-year, $300-million contract. Obviously, Machado makes the Padres a better team, but they’re not a serious contender, yet, in the division. Preller’s strategy has been to add these veterans to anchor the next generation, but in a pitcher’s park, they’ll need some young arms to mature in a hurry as Joey Lucchesi and Eric Lauer were pushed up to the majors last season. The Padres have two former Yankees at the back end of their bullpen: closer Kirby Yates, and the newly-signed Adam Warren, inked to a one-year, $2.5-million deal. The biggest news the Giants made this offseason was not getting Bryce Harper, and if that’s the extent of your winter, maybe the summer isn’t going to be so great either. No offense to Yangervis Solarte, Cameron Maybin and Gerardo Parra, but where did that excess $300 million go? With the dynasty years fading in the rear-view mirror, the Giants still have the memories, with Buster Posey, Joe Panik and Madison Bumgarner. But it’s getting close to the time to get a few pieces for Bumgarner (now in his walk year) at this season’s deadline, as this team shouldn’t be close to contention. Regardless, the Giants do feature one of the great places to watch a game, only it’s no longer called AT&T Park. It’s Oracle Park now. Derek Jeter still is relatively new to the owner thing, but suggesting that people often care more about the stadium experience than whether the Marlins win or lose was a massive error in judgement. Also, not a great way to energize the fan base. Jeter realizes that it’s easier to improve the sandwich selection at the ballpark than pay big-time free agents, and overhauling an organization doesn’t happen overnight. So what did the Marlins do this winter? Jeter hired another member of the Core Four in making Jorge Posada a special advisor and recruited another former teammate, Curtis Granderson, to actually play for the Marlins. Oh, and speaking of ex-Yankees, Starlin Castro is still here at second base and Neil Walker has signed on to play first. As the only non-contender in the NL East, the Marlins could very well decide the division by who they beat the most this season. It won’t be a frequent occurrence though. Enjoy the lechon asado sliders.